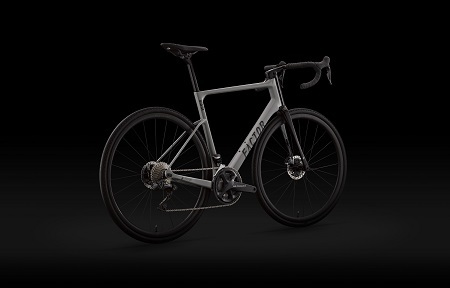 Factor has joined forces with Giro d’Italia-winner Ryder Hesjedal and multiple Grand Tour stage-winner David Millar to design, develop and market its new model in the All-Road cycling sector. Vista is a response to the growing trend for road cyclists’ desire to push their rides ever further in terms of terrain, distance and diversity of riding surfaces. This all-new bike pairs Factor’s unrivalled expertise in crafting beautifully engineered high-performance machines with a host of innovative technologies designed to optimise handling and rider comfort wherever they choose to go. Founded in Norfolk, Factor is known primarily for its high-performance road bikes and technical partnership with WorldTour team AG2R La Mondiale. Together, Factor and AG2R La Mondiale have developed racing bikes that have conquered some of the biggest races in the WorldTour, and it is this same technical insight that is powering Factor’s first category expansion beyond road racing bicycles. For the design, development and testing of Vista, Factor sought out the expertise of former pro Ryder Hesjedal to provide technical assistance and rider feedback. While best known for winning the Giro d’Italia in 2012, the Canadian’s roots are in the rough, having started out as a mountain biker and winning Cross-Country World Championship medals at Senior, Under-23 and Junior levels. With Ryder’s pedigree, his insight was invaluable in testing and honing Vista’s adaptable and versatile ride characteristics. Vista’s characteristics owe much to two key design considerations that come together beautifully. The first is the geometry, combining the best of fast road stability under power and quick-reacting handling when you choose to go beyond paved roads – with special attention paid to the fork rake and BB drop. The second is the blend of carefully crafted carbon layup specifications which are deployed on the different elements of Vista’s integrated chassis. Factor’s extensive work in optimising the carbon layup on every surface of Vista is an exercise in finding the best blend of stiffness and compliance for each key element: i.e. the frame, fork, bar-stem, and seatpost. With its own end-to-end design, carbon fibre manufacturing and assembly facilities, Factor is able to shorten the development time of each new model while simultaneously expanding the volume of prototyping and testing. The result is Vista: an All-Road machine with no compromises. Offering riders the best opportunity to personalise their specification, VISTA is designed as a system-integrated chassis comprised of frame, fork, bar-stem and seatpost. There is also a rolling-chassis option which includes Black Inc’s all-new tubeless-ready carbon Black Thirty wheelset. Factor has once again worked with long-term collaborator David Millar and his CHPT3 brand, creating a special-edition CHPT3 colourway of the new Vista bike – Devesa. Inspired by the impressive Devesa Forest in CHPT3’s hometown of Girona, the new bike was launched to global media on October 19 at the CHPT3 product launch at the Forest Park Hotel in Brockenhurst, UK. David Millar said: “After a 20-year professional road cycling career, you feel an immense freedom. No longer confined to roads, and without the pressures of racing you’re free to explore and have fun on your bike - that’s a big driver behind everything that we create at CHPT3; experimenting and creating products that aid your enjoyment. VISTA comes in two colourways: Stone Grey and CHPT3’s Devesa. The VISTA starts at USD 4,799/GBP 3,750/EUR 4,690 (RRP) for the chassis option.